Blog — Turn the Page...It's Fun! A reader with Attention Deficit is not learning to read adequately. Help learners with Attention Deficit become accomplished readers. Oral language, close attention to print, comprehension, focus and writing combine to create obstacles for learners with Attention Deficit. According to the Center for Disease Control and Prevention 6.3 million school age children have Attention Deficit Disorder (ADD). Although this information is old, it clearly indicates the issue at hand. People with Attention Deficit work harder to learn. The above chart shows that 8%-30% of people with Attention Deficit have oral language disorders. Oral language is one essential source of information for reading. Delayed language by itself can cause delayed reading development. Combined with Attention Deficit, it will nearly guarantee reading delays. People with Attention Deficit and language disorders must compensate by over-relying on visual phonics information and comprehension. However, both of these are also negatively impacted by Attention Deficit. Using visual phonics information is difficult for people with Attention Deficit because it requires close attention to formation and sequence of letters within words. Lack of focus associated with Attention Deficit interferes with looking and noticing small bits of visual information. In addition, 40%-60% of people with Attention Deficit have developmental coordination disorders that could negatively influence smooth eye movements while processing print. The cueing system of meaning or comprehension is least effected by Attention Deficit. However, because the other two systems are affected, reading is broken and not fluent. Lack of fluency interferes with good comprehension. The learner may have adequate basic understanding but comprehension is confused because of errors created by poor language processing and lack of attention to print. Another effect of some forms of Attention Deficit is difficulty sitting still and focusing for sufficient periods. Nevertheless, it is not impossible. Even severely affected learners can sit still for short periods. People with certain forms of Attention Deficit will manage to sit for a few minutes, then legs start wiggling or swinging. Their backs arch, twisting in the seat, swaying, and standing, unaware of their movement. Movement causes difficulty with keeping place in lines of text, noticing changes in one or two letters, a prefix, suffix or punctuation mark. It is also interesting to note that 65% of learners with Attention Deficit have written language delays. Writing is a powerful way to learn to read. Writing helps the learner understand phonics patterns and language structure. When written language is difficult, reading progress will also sometimes suffer. It is no wonder 15%-40% of people with Attention Deficit have a reading disorder. Attention Deficit and associated disorders affect every cueing system available to a learner. Oral and written language processing deficits, and coordination disorders, require long-term interventions by qualified specialists. However, there are some ways to address the issue of focus while reading. Prior to reading, remind the reader with Attention Deficit to focus on sitting. Create a goal to sit still as long as possible. A gentle hand upon a leg, arm or back will often be sufficient reminder. Sometimes, a gentle hand is required many times during the completion of an entire story. Other times, a quick 5-second stand and stretch is enough to bring focus. Some days will be difficult. You can try later or the next day. Expect success and understand that readers with Attention Deficit have multiple learning difficulties. It is not easy or quick, but progress occurs with practice and patience. A reader with attention deficit understands the need for sustained focus and has developed some stratrgies to maintain focus. Extra attention is given to looking closely at letters, words and punctuation. Discussion about the story is frequent before, during and after reading. Everyone understands that practice and patience is required for the extra effort and time needed to read. The reader does not make a connection between similarly spelled words that share common phonics patterns. The reader has not categorized words by phonics patterns to make reading easier. Teach analogy of word families by connecting known phonics to new words. Knowledge of word families makes reading easier because the reader no longer views each word as unrelated and isolated from all other words. The reader can connect a new word with similar phonics patterns to a known word, making faster learning. · Analogy is the process of decoding new words by using spelling patterns from known words. · Long lists of rhyming words are not the goal. · Use part of a known word to read a new word, with the same phonics pattern. Before a new reader can use analogy well, phonemic awareness is beneficial. Phonemic awareness is the aural (with ears only) manipulation of sounds without the visual prompts of letters. A new reader must first distinguish words that sound similar and in what way. o Do they sound the same at the beginning, middle or end? o Can you say the word without the onset or without the rhyme? o Can you substitute the onset or rhyme with another onset or rhyme. These aural skills are prerequisites for use of good visual analogy. Without phonemic awareness skills, the new reader has only visual processing cues, which are not sufficient for successful analogy work in reading and writing. · Make sure the learner has a good understanding of word verses letter. · Test for understanding by asking a new reader to isolate a word, or two, with fingers or two slips of paper. · Then isolate a letter or two letters. Assuming the new reader understands the meaning of a word, when they actually do not, can result in slow progress mastering word families. Check to be certain the reader has clear understanding of the concept of word in a variety of contexts. Here’s a link to teaching words vs. letters. · Use magnetic letters to build a known word. 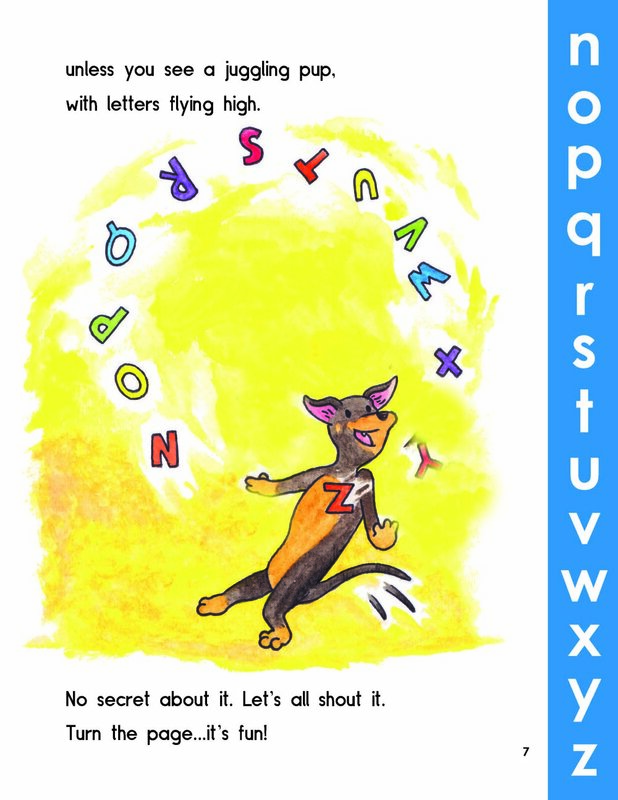 · Separate out the phonics pattern for focus. · Substitute other letters while maintaining focus on the known pattern. · Write the known word. · Erase and change the other letters, keeping focus on the known pattern. · Write the known word on a strip of paper. · Cut off the known phonics pattern. · Substitute the other letters, keeping focus on the known pattern. The reader can identify a word and a letter. The reader understands words have similar spelling patterns. The reader manipulates sounds aurally hearing sounds as the same or different, substituting and deleting sounds, onsets and rhymes. A reader makes new words from known words, creating word families. The reader is running sentences together without stopping at periods. Comprehension suffers. Improve comprehension and reduce misunderstandings. Of all punctuation, the period is most important. Consider its purposes. provides a clear end for phrasing. indicates places to stop and reflect. Early readers use immense mental attention for decoding, leaving little awareness for punctuation. A period is the first critical punctuation that requires reader attention. Early readers ignore periods and create serious comprehension errors. 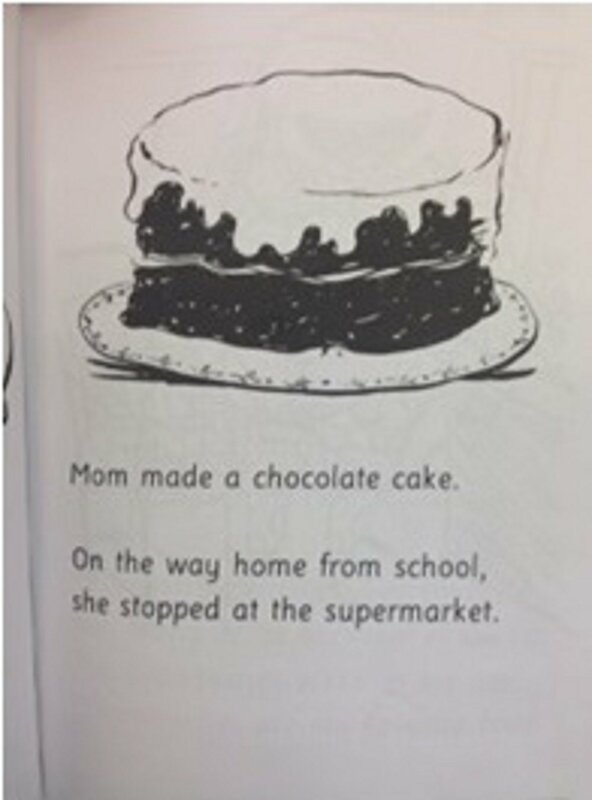 From the story “Mandy Made Me Do It” by Jan Weeks, when a reader fails to stop at the period, it sounds as if mom made a chocolate cake while on the way home from school. This error would definitely affect comprehension! Unfortunately, many young readers just accept this as plausible and comprehension suffers. A habit of full stop at periods will avoid such confusions. Early instruction must include direction for a complete stop at every period to avoid errors of meaning. However, it's important to note, early readers may also misunderstand “complete stop” and actually pause too long. An experienced reader’s model is the best example of fluent reading to demonstrate a momentary pause at periods. · Early reading acquisition includes the development of phrasing. · Good phrasing creates greater fluency and reading rate. · Although there are many variations of coherent phrasing, periods always end a phrase and act as the first guide to develop an ear for phrasing. · New readers require direct explanation and modeling of phrasing and its impact on comprehension and fluency. · Focus on the use of periods is the best place to begin developing phrased reading. 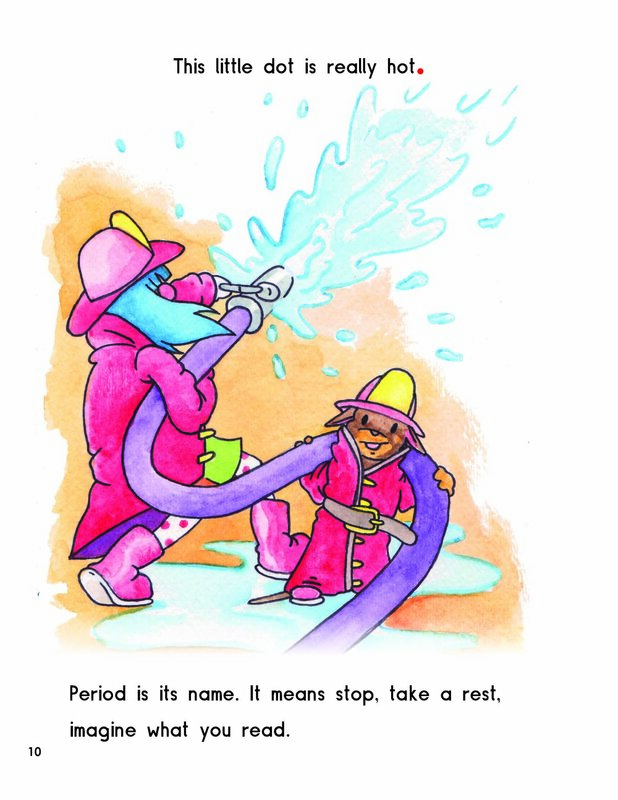 In “Turn the Page…It’s Fun: A Concepts of Print Story” by Connie Dickison, a period is a reliable location for reader contemplation. The following words guide the learner. · This is exactly what a new reader needs to do, create a story in the imagination. · Too often new readers believe getting to the end of the story is the goal, forgetting that along the way a story is supposed to develop in memory. · A period can remind the reader to reflect on the sequence of events, character traits and motivations. Experienced readers take periods for granted. Developing readers benefit from direct instruction regarding the usefulness and purposes. Readers notice periods and stop just briefly enough to develop phrasing. No misunderstandings occur from skipping periods. Eventually, it is second nature to take a momentary break at a period and the mind has energy to create images that will guide accurate recall and higher-level comprehension. A reader is not remembering letter names, sounds, sight words, phonics patterns or vocabulary. Help readers remember previously learned information. 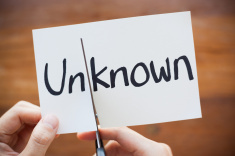 Prior knowledge acts as a hook for new information or as a file system where new content links to something known. Each person has a unique set of prior knowledge, so the system is individualized. Make quick connections for the learner by keeping records of known information. · A learner needs to begin with a known, perhaps the first letter of their name or another known sound or word. Sometimes environmental print offers a known place to begin, such as “McDonald’s” or “Cheerios” or “STOP” on the stop sign. · Start with the learner’s own particular known, and then introduce a new word similar to the known word. · Since this is teaching for reading and reading is a visual activity, make certain the learner has the opportunity to see the words or letters, not just hear them. Use magnetic letters, dry erase or simple pencil and paper. For example, “Brandon” is a known word. In order to connect the known to the new, use the letters in the known word to teach “and”, “on” or “br”. These are all part of the known word “Brandon”. Another example, if the learner recognizes and knows the sound of letter “c”, teach “cat” and “car”. Begin with a known and connect to the new. Some programs require fixed sequences of teaching letter sounds. A fixed sequence does not take into account the concept of linking new to known information. Each learner has a distinctive set of known. For quickest acquisition, step outside the fixed sequence and begin with something known. In the children’s book “Turn the Page…It’s Fun! : A Concepts of Print Story” by Connie Dickison, readers are directed to connect new words to known words. For example, if the student knows “me”, connect other new words by replacing the first letter with another letter, to make a new but similar word. Associating an already known word in writing, to a word the student is learning to write, facilitates the learning process. For example, you want to teach the student to spell “feet”. · First, see if the student knows how to spell any other words with “ee”, perhaps “see”. · If the student knows no words with “ee”, then teach the first “ee” word with the use of repetition and practice using visual, auditory, kinesthetic and tactile methods (VAKT). Starting with a known requires the teacher to make careful records for quick connections. The concept of using prior knowledge is equally applicable to language acquisition. · If a learner knows the meaning of “big”, teach “huge” and “gigantic”. Nearly any connection is helpful, such as connecting “bird” to “dog” to “animal” to “mammal” to “amphibian”. Gradually building new upon known quickly facilitates learning. Use prior knowledge to build new phonemic awareness listening skills. · For example, the students name is Ruby. Teach listening for other words that contain /r/, “run”, “write”, “car”. It does not matter that “write” begins with a “w” or that “car” has /r/ at the end instead of the beginning, because this activity is for improving phonemic awareness, a listening skill. You can also teach listening for ending sounds. · For example, other words that contain long /e/ like in the known word “Ruby”, “sunny”, “cookie” and “every”. This activity will develop phonemic awareness, another essential early literacy skill, as well as linking new knowledge to known. Learners remember information across lessons. The previously unknown concept starts to become partially known and eventually completely under control. A teacher quickly reminds students of the known and the student more accurately recalls the new information. Every sentence sounds the same. Reading is monotone. Improve expression, fluency and comprehension by noticing and using a question mark. The question mark is a good place to begin teaching expression. Young readers and writers enjoy the look of a question mark because of its unusual shape. It is an easy to recognize punctuation mark. Using a question mark also improves the reader’s comprehension and fluency. ⦁ A question signals the reader to pay close attention because questions generally indicate important content. ⦁ Question marks are frequent in dialogue. Since dialogue is common in all writing, question marks are essential to understand and use. ⦁ Questions can move a story line forward in the briefest manner. 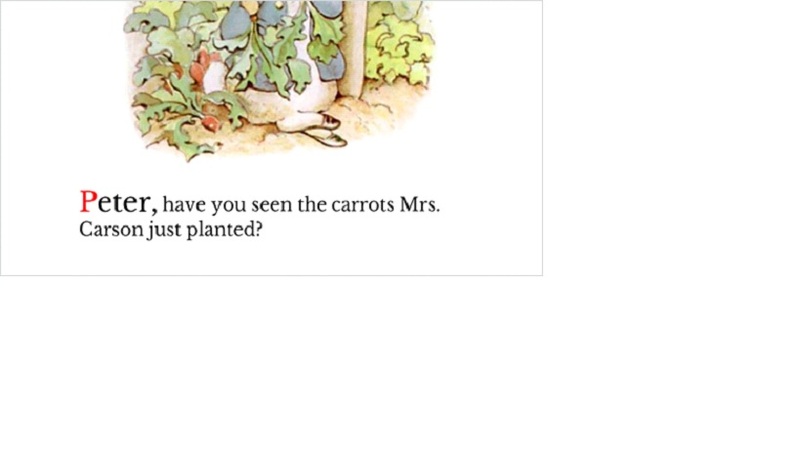 This page of “Peter Rabbit” by Beatrix Potter establishes main characters, setting and problem in one quick question. ⦁ Prediction after a question mark is the natural next step, which leads to improved comprehension. In the children’s book “Turn the Page…It’s Fun! : A Concepts of Print Story” by Connie Dickison, children are guided to use a question mark as a place to practice answering. ⦁ One component of fluency is expression. Repeated practice raising the pitch of voice at question marks develops fluency. ⦁ Expressive reading occurs when the reader is able to maintain awareness of plot while also noticing and using punctuation. ⦁ The vocal expression of a question is different from the expression of a statement. The voice rises slightly in pitch at the end of a question. This rise is a cue to the listener that a response may be forthcoming. Pages from “Yo! Yes?” by Chris Raschka, demonstrate the brevity and power of a question mark. 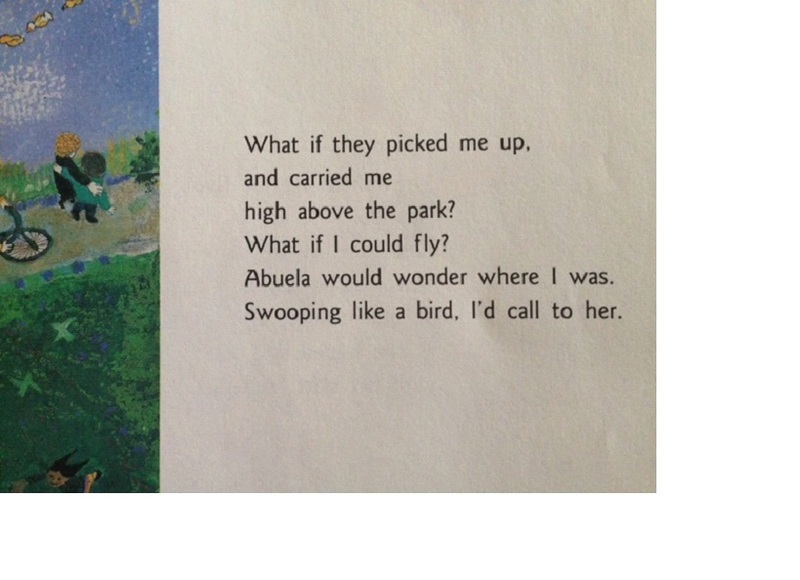 Another frequent occurrence, in children’s reading, is multiple questions in a row as in this example from “Abuela” by Arthur Dorros. Readers notice question marks and enjoy changing their voices for expression. They understand that questions frequently contain a lot of information and are often part of conversation between characters. Answers are either directly in the text or by prediction. With exposure to many kinds of stories, children easily read multiple questions in a row. Multiple questions do not disturb phrased fluent reading. An emergent reader is not reading every word. Sometimes they skip words. Sometimes they add extra words. They do not notice the mismatch between voice and print. Correct skipped or inserted words by noticing beginning letters and pointing. One to one match means a reader demonstrates understanding that for each word spoken there is a corresponding word in the text. This seems too obvious for an experienced reader, however an emergent reader will frequently mismatch one to one. Their eyes are unskilled at noticing the spaces marking the boundaries of a word. Coordinating the voice with the eyes is a difficult skill to develop. ⦁ Use two slips of paper to isolate one word. ⦁ Use two fingers to isolate one word. ⦁ Move on to two words. ⦁ Use two slips of paper or two fingers to isolate the first letter of a word. Eventually with repetition, modeling and instruction, one to one match solidifies and the reader directs attention to the first letter of words with more confidence. 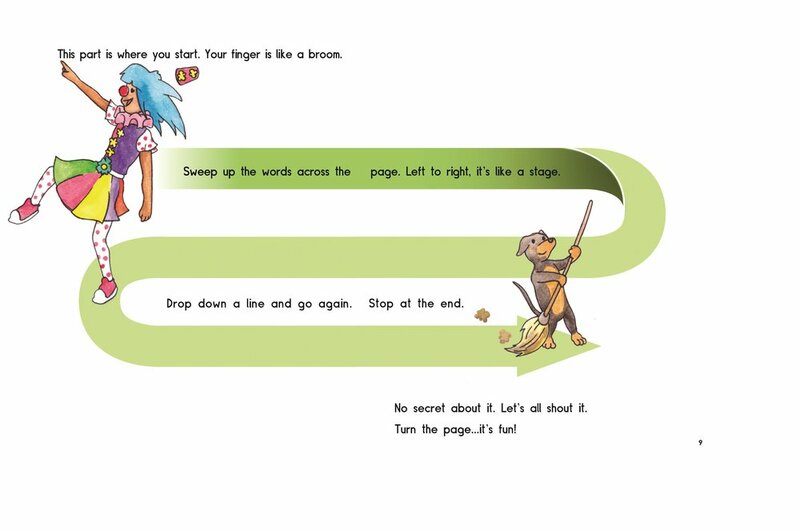 ⦁ Early readers use their finger to point at each word as a way to self-monitor one to one match. ⦁ Pointing facilitates clear match of voice to word. ⦁ It is also a window into the reader’s understanding of word and their use of word spaces to move through print. ⦁ Lapses in one to one match are common in early acquisition. ⦁ Insistence on clear one to one pointing is helpful to establish word to voice match. ⦁ The full-time finger pointing should be encouraged to disappear. ⦁ There are times when a learner needs to look more closely at print. At these times, it is useful and natural to point in order to take a closer look. ⦁ Once past the difficult part, the finger no longer points. ⦁ Skilled readers have flexible use of finger pointing. When reading is easy, there is no need to point. When reading becomes tricky or requires closer visual inspection, use of a pointing finger is natural and useful. Which Finger Does the Pointing? I have observed new readers use nearly every finger on each hand as the pointing finger. I have observed the same reader switching between several fingers on either hand. It is my belief that in early acquisition, when one to one movement is not yet established and the full-time use of a pointing finger is purposeful. ⦁ Just one dominant index finger is used. 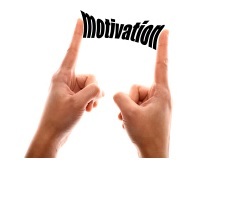 Pointing is not alternating right and left hand index fingers, nor is it pointing above each word. ⦁ Pointing is not alternating right and left hand index fingers, nor is it pointing above each word. Just the index finger, on the dominant hand, pointing underneath each word. ⦁ In my observations, all other kinds of pointing generally add to the confusion of one to one match and left to right movement across text. Readers use just a dominant finger to point at every word until one to one match becomes under their control. Then, they move to pointing at just the difficult words or parts of words. Their eyes are processing print efficiently enough to notice mismatch between printed and spoken word. Insertions and skipped words are less frequent, self-correction of errors more frequent. A learner is reading along using left to right and top to bottom movement across the text. Suddenly, confusion arises. The reader is unsure where to read or bounces reading back and forth across the crease of the book. Teach consistent movement across all text including words, sentences, pages and entire stories. In English, all movements proceed from left to right and from the top of a page to the bottom. The left to right movement relates to individual letters, words, sentences, lines of print, pages and the book. Learners easily reverse words in both reading and writing. Reversed words can occur occasionally or frequently when the learner partially understands directionality. Once directionality is firmly established, the learner will notice the mismatch between the printed and spoken word, making a self-correction based on the mismatch. Only in the very earliest stages of literacy acquisition, will a learner attempt to read a sentence from right to left. However, understanding left to right across a sentence is different than across words and letters. Learners often remain confused at the letter, word and even page level even though left to right is consistent at the sentence level. Directionality across pages requires both left to right and top to bottom movement. Additionally, movement applies to individual pages as well as across a two-page spread. In “Turn the Page…It’s Fun: A Concepts of Print Story” by Connie Dickison, directionality is illustrated across a two page spread. 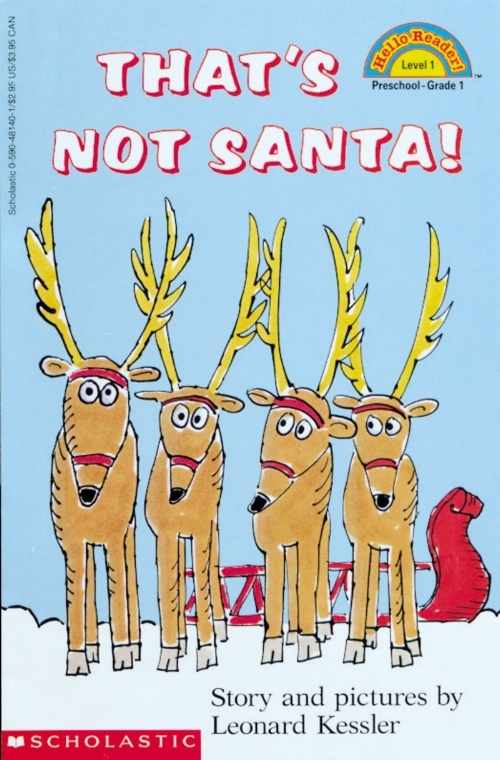 However, consider the following illustration from “That’s Not Santa” by Leonard Kessler. The learner must have a very strong understanding of directionality to avoid attempts to read across the top of both pages and then down, across both pages again. A directionality concept, which is confused mostly in very early reading, is turning pages of a book. Very early learners will freely turn pages from the back of the book to the front. Most often this occurs before the learner has the ability to read. It is one of the earliest directionality skills. This, along with holding a book with pictures facing right side up is very early indication that a pre-reader is developing directional understanding. In “Turn the Page…It’s Fun: A Concepts of Print Story” by Connie Dickison, labels for front and back cover as well as beginning and end of the story, guide the new reader to develop directional understanding. Readers hold a book with the spine oriented to the left and turns pages in proper sequence. Left to right movement is second nature across words, sentences and pages. Single page and double page layouts no longer cause confusion. The reader has experience reading many books and understands where to begin reading and which way to go, regardless of the layout. The learner confuses similar looking letters such as b and d and p in either reading or writing. In Turn the Page…It’s Fun! : A Concepts of Print Story by Connie Dickison, letter form constancy is taught with humor. Form constancy, a visual processing term, means the ability to recognize an object regardless of size, shape or orientation. Children need to learn letters are always correctly oriented. Letters cannot lie on their sides or upside down. Left to right movement, or directionality, applies to individual letters. For example, some letters have no left to right directionality. Consider the following letters, rarely written incorrectly because they do not rely on left to right orientation. All of these letters must orient correctly, left to right. A learner can easily reverse their formation. Similar shaped letters such as “b” and “d”, also “p” and “q” are frequently confused. To correct these confusions, children must have a good understanding of left to right movement. Although a learner may understand left to right across a line of print or across a word, we cannot know they have applied this knowledge to letters. Correct reversals and inversions in alphabet letters by sorting and writing letters. 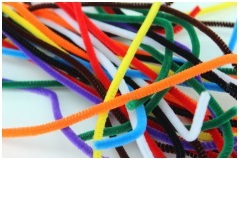 Use Wikki sticks or pipe cleaners to form letters. Make sure the learner writes letters correctly. Preventing the incorrect formation habit in the first place is ideal. 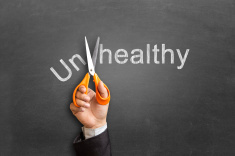 If the incorrect habit is already established, stepping in before the repeated error is most effective. This requires close observation and quick reaction before the pencil begins to mark paper. Another area of letter knowledge is the ability to match capital and lower case letters. In English, a few capital and lower case letters are the same shape but a different size and orientation on the line. Some letters are near matches. Some letters are entirely different. Sort letters according to characteristics such as letters with lines, letters with curves, letters with circles, and letters with tails. Match capital and lower case letters beginning with the same shape, moving on to near matches and finally letters that look different. Letter knowledge encompasses a wide array of skills from the meaning of letter to correct formation and capital / lower case match. The process appears simple, but it is not. In actuality, it is complex visual processing and confusions occur easily. Give much attention to the process of letter knowledge in early learning activities. Readers recognize letters no matter the font. Readers match upper and lowercase letters. Reversals and inversions do not occur in reading or writing. Left to right processing across a letter is solid and supports accurate recognition. Writers form letters correctly, which supports accurate identification. A reader is looking at an entire word instead of single letters and has trouble finding one letter in a word. Word vs. letter may seem like an easy idea, but for some emergent readers it can be a point of real confusion. Even the vocabulary of letter, word and sentence can be confusing especially to children with language delays. A new reader my learn the meaning of letter, word and sentence in any order. One term is not more essential than another. Knowledge of one does not indicate understanding of another. Understanding relies on exposure to print, personal strengths in phonemic awareness, language development and visual processing. Clarify meaning of letter vs word by using already known words and close visual attention to print. Use the readers own name. Show the reader that words are bound by spaces, letters are not. There are exceptions to this rule with the words “I” and “a”, which offer an opportunity to examine the idea that words contain meaning whereas letters do not. 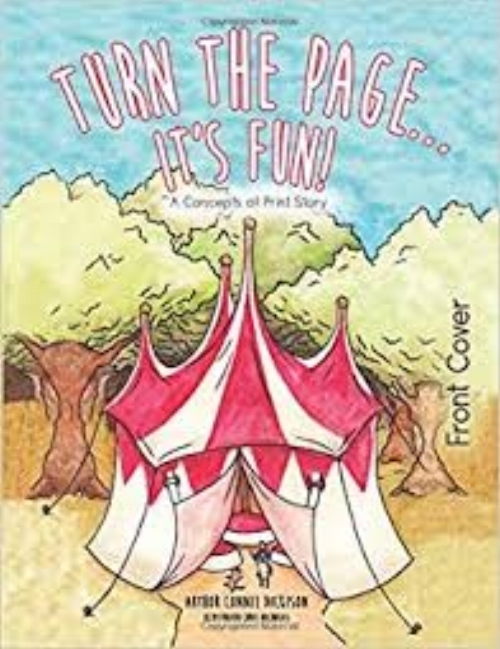 In the book by Connie Dickison, “Turn the Page…It’s Fun! : A Concepts of Print Story”, words are described as follows. The reader understands the differences between a letter and a word. When asked to look at the first or last letter they are more likely to look at the letter instead of the entire word. The reader can now begin to use the first letter or ending letters to figure out a new word.